Universal Flat Top Griddle Make your favorite breakfast or hot sandwiches at the campsite on the Universal Fry Griddle. Its sloped sides make cooking easy and will keep the mess to a minimum. 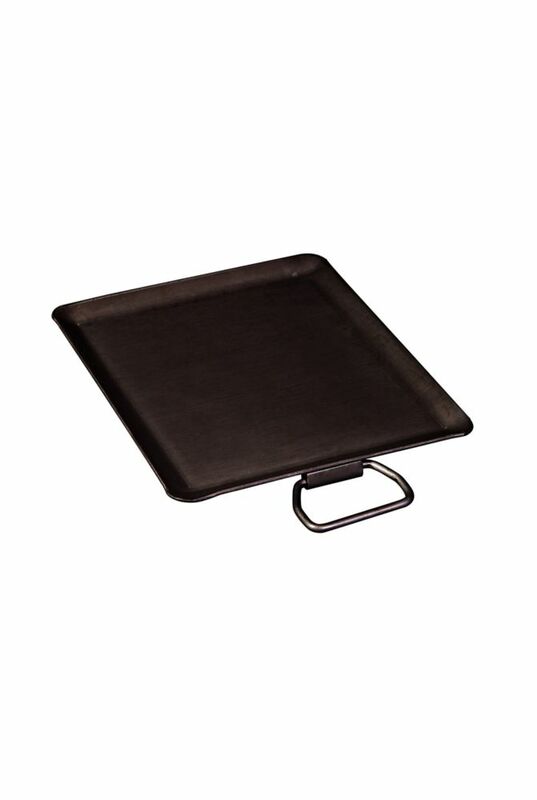 This durable griddle has a handle for easy transport making it great for home or the tailgate party. Designed to fit Camp Chef's 14" cooking systems, it can also fit on 16 inch Cooking Systems by rotating 90 degrees. This griddle is perfect for all kinds of outdoor cooking. Also fits many other outdoor stoves.